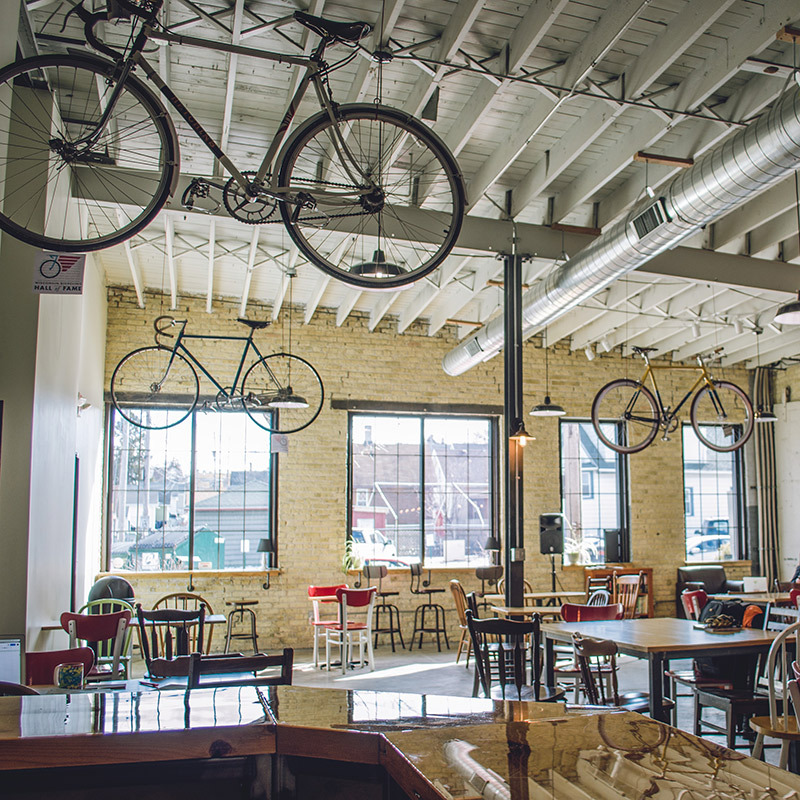 Pedal Milwaukee is a Bicycle focused facility steering our city towards a life on two wheels. Encouraging an active lifestyle and sustainable future that benefits Milwaukee and beyond. Velobahn Coffee & Cycle keeps the community awake with strong roasts. Looking for an event space? Velobahn offers a space for parties, gatherings or meetings. 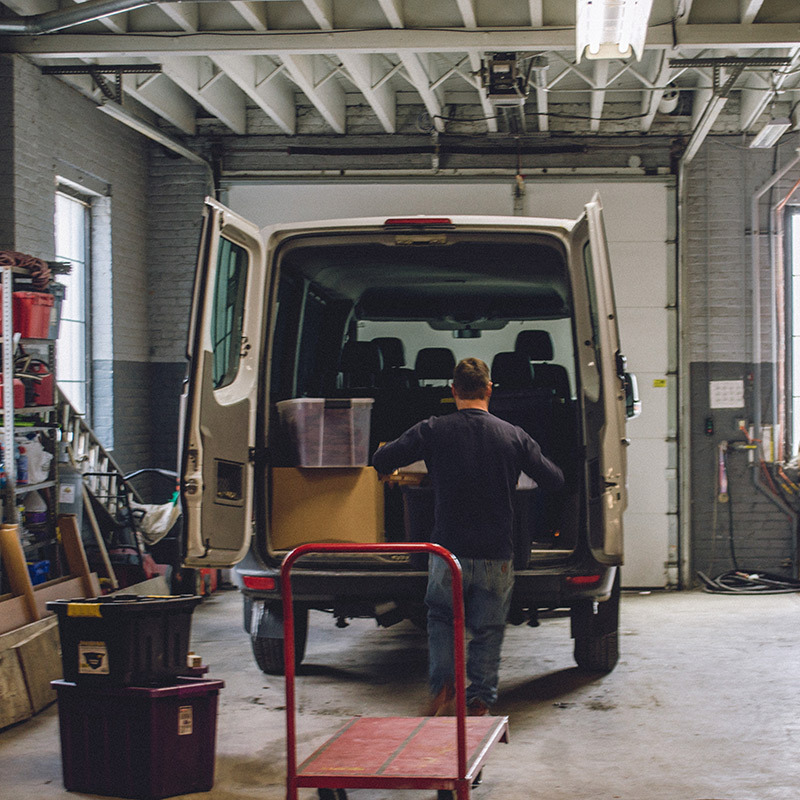 Pedal Milwaukee has office and workshop space available. Where Milwaukee and bicycles meet. The Pedal Milwaukee facility was originally constructed from cream city brick in 1929. Since then, the building has been modernized to meet the needs of the various businesses who have occupied it. As of March 2018 the facility is under the management of Next Session LLC, affiliates of Fyxation Bicycle Company. Pedal Milwaukee has been a hub for cycling related businesses in Milwaukee. We will continue to grow on that foundation with space available to like minded businesses and individuals that share in the vision of encouraging an active lifestyle that benefits Milwaukee and beyond. We are excited to offer space for small businesses and individuals looking to work in this dynamic environment. Contact us for more information on office and workshop rental or month to month rentals in our co-working space. Pedal Milwaukee's co-working environment is ideal for entrepreneurs, startups, remote employees or individuals looking for an exciting, collaborative environment to work outside of their homes. Tenants will have access to our shared conference room, off street parking and other perks here at Pedal Milwaukee.